Brad Coffman has recently been hired as Assistant Principal at Russellville High School. Mr. Coffman is returning to the Russellville School District after serving 3 years as Assistant Principal at Dover High School. Mr. Coffman previously taught in the Russellville School District for 13 years; serving as a band director at Russellville High School, Russellville Junior High School, and Russellville Middle School. Mr. Coffman is a 1995 graduate of Russellville High School and graduated from Arkansas Tech University in 2000 with a Bachelor of Arts in Music Education. He received his Master’s degree in Secondary Education from Arkansas Tech University in 2006. His emphasis during his graduate study at ATU was in Instructional Technology. In 2015, Mr. Coffman completed his Educational Leadership licensure from the University of Arkansas. 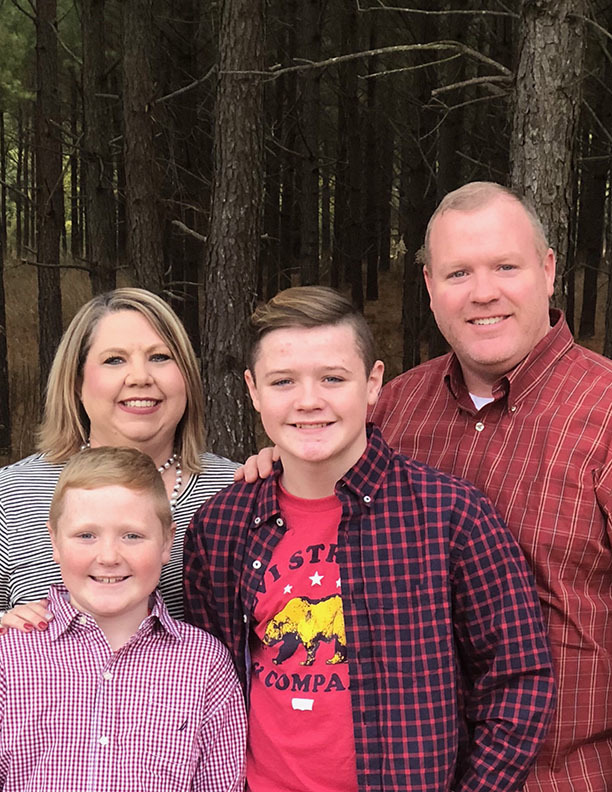 Mr. Coffman was named a National Board Certified Teacher in 2009, and during his time at Russellville High School, he served in a variety of leadership roles at the local and state levels. One of his greatest accomplishments was serving as a member of the Technology Committee that helped implement the 1:1 initiative at Russellville High School. Mr. Coffman and his wife, Wendy, are celebrating 20 years of marriage this year. They have two sons, Peyton and Noah. Peyton will be starting 7th grade and Noah will be starting 3rd grade this fall in the Russellville School District. Mr. Coffman and his family attend First Baptist Church of Russellville where Mr. Coffman plays trumpet in the worship orchestra. Mr. Coffman is actively involved with his sons’ baseball teams and he enjoys college sports. Mr. Coffman is excited to return to Russellville High School and looks forward to meeting the needs of the students of RHS.